A trip to a favourite art shop for supplies ended up with sketching over lunch. 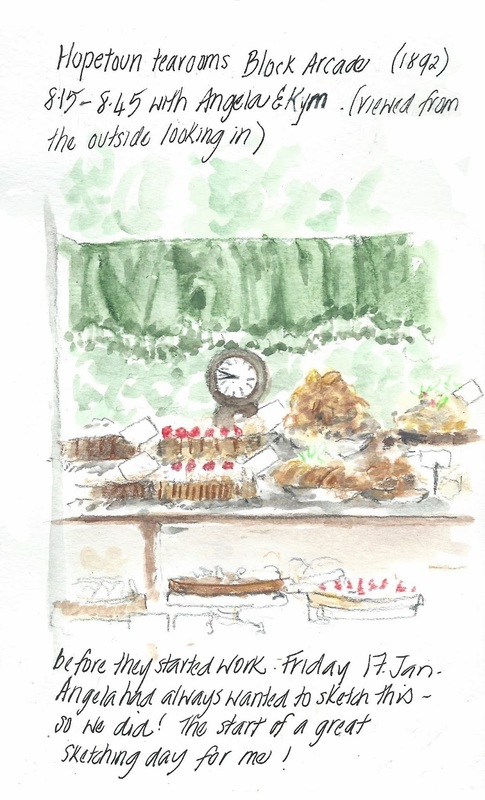 This is my messy page (above) capturing the scene around me, while my coffee and lunch got cold. At least I had fun. I had drawn this building before (above - it’s across the road from where I was sitting) but I had not noticed the condition of the roof. There were several gaps or holes which I tried to capture. It’s still a beautiful building, but in need of some maintenance. 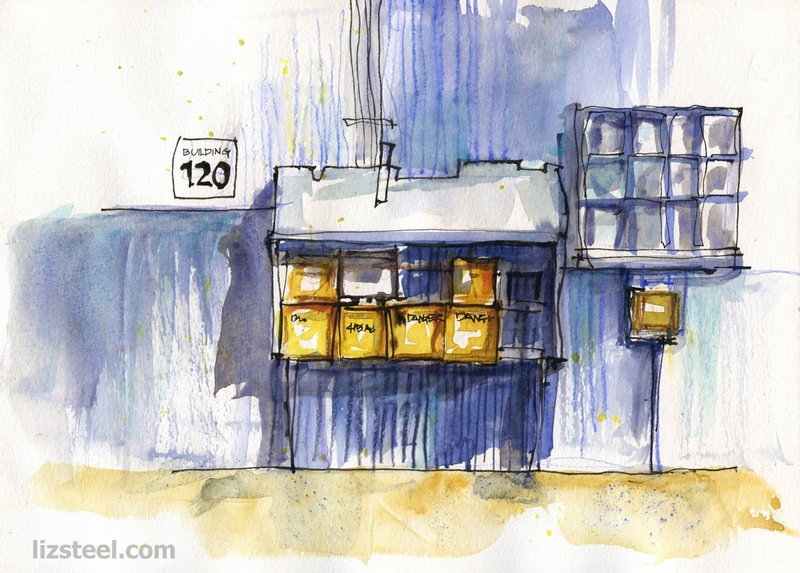 There is a flower shop next door, with a spinning wheel – the big yellow petal – that kept spinning the whole time. This area - Brunswick Street in Fitzroy- is interesting in that it’s quite arty; with lots of grungy as well as funky retail outlets, great food, good coffee and is a great location for people watching. I have been to Cockatoo Island twice in the last few weeks. 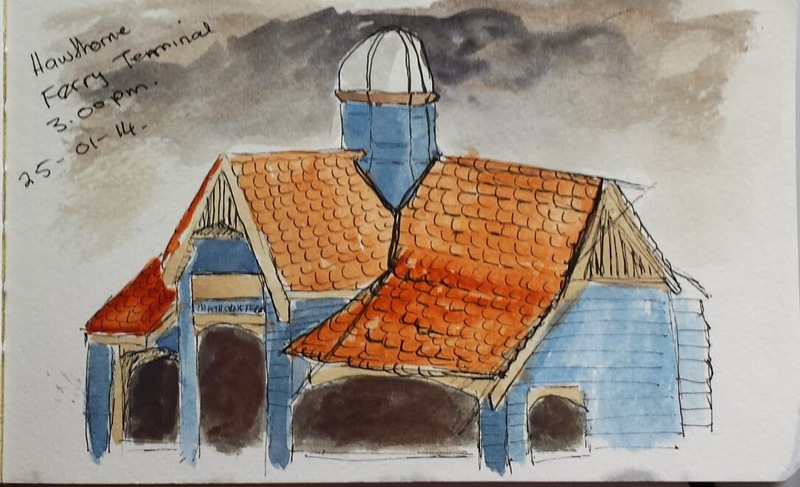 Once with the Sydney Sketch CLub and the second time on my own. Love that place so much and never get sick of visiting it. So much to draw- either grand vistas or small details. I have made to decision recently to start a large sketchbook to use on my sketching days out here at home. I normally only use this A4 sized sketchbook when I travel as it is heavy to carry. But it is so good to have the freedom to work larger. 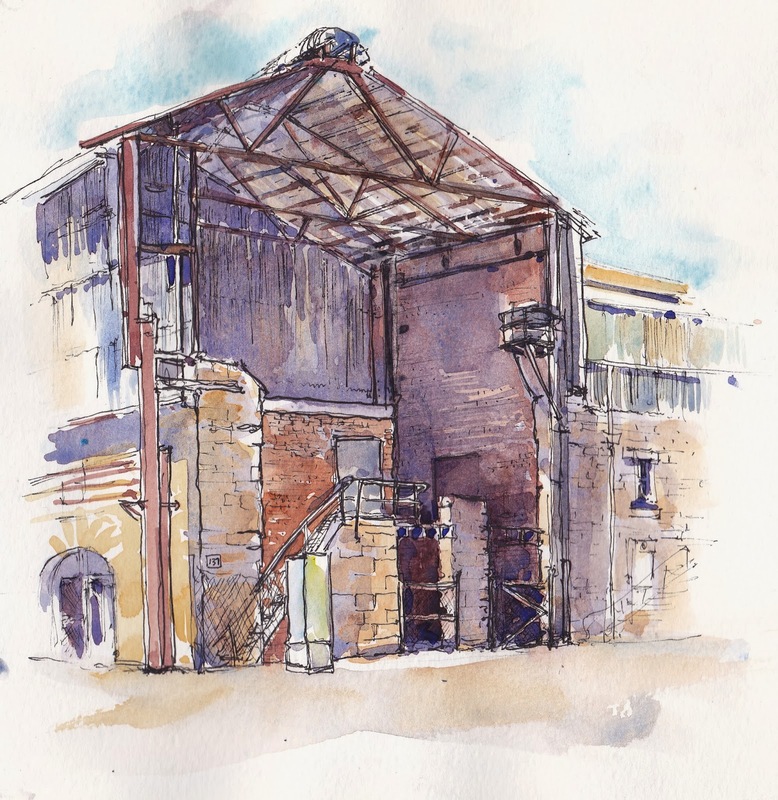 Urban sketchers is a global community of sketching, sharing the places we live and travel to online. 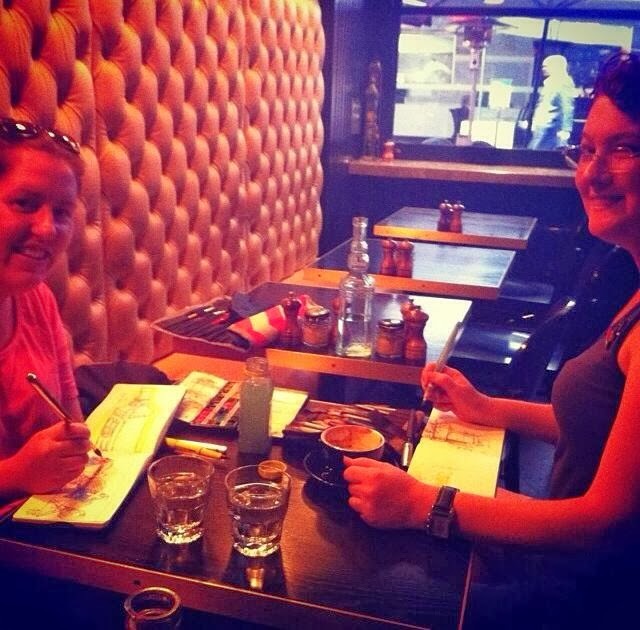 It is also a global community of people that you can meet and sketch with all over the world. 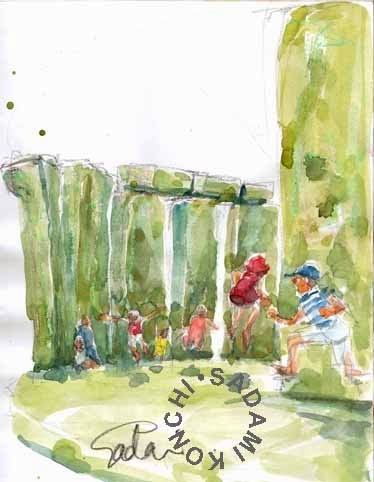 There have been many stories and sketchers of people meeting up with local urban sketchers in a country they are visiting. This page is about my experiences in the last month. 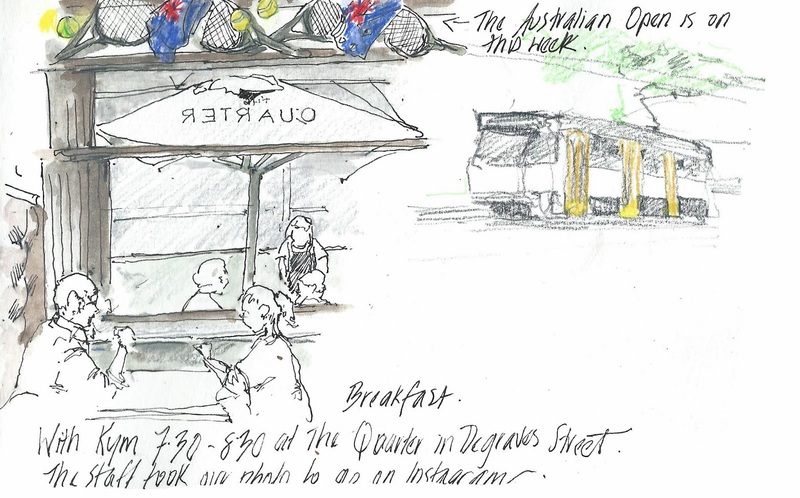 I live in Sydney I had the opportunity to connect with urban sketchers in Brisbane, Newcastle and then Melbourne in the Australian Christmas holiday break. 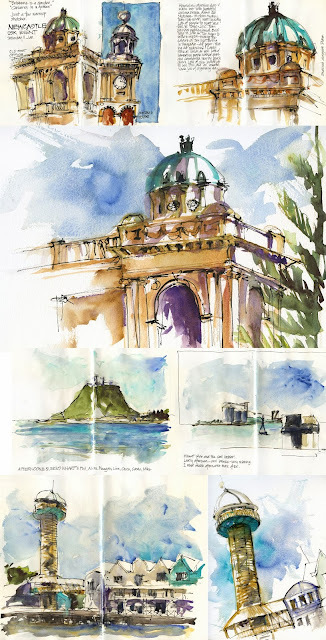 In each city I sketched with the locals (and some other Sydney travellers). I had met some of them previously but also met new people. 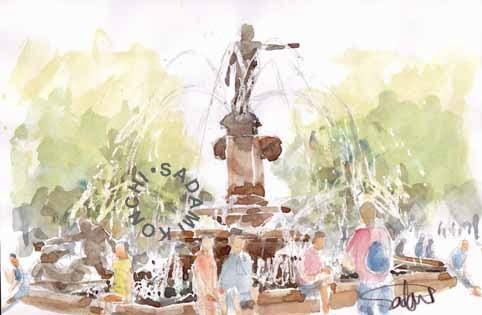 I initially contacted them online via facebook or their blogs and let them know that I was visiting and the dates and they arranged place to meet and sketch. Often an event was organised around my visiting dates ! 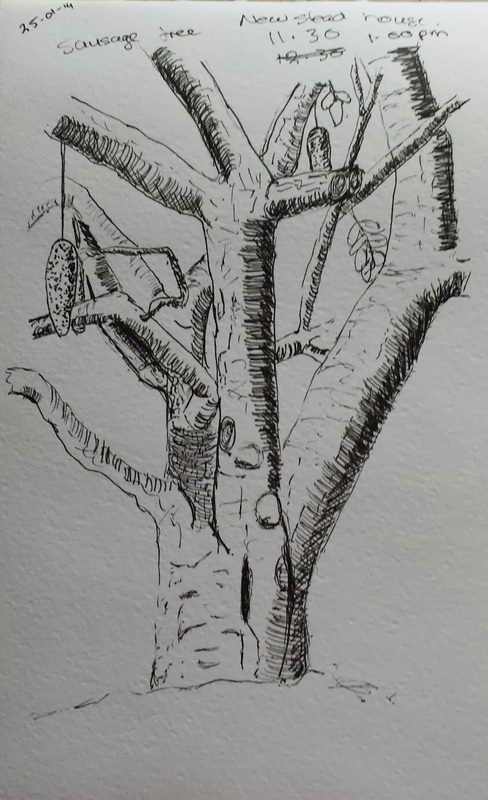 This is a bit of a long post with my sketches and a some notes. 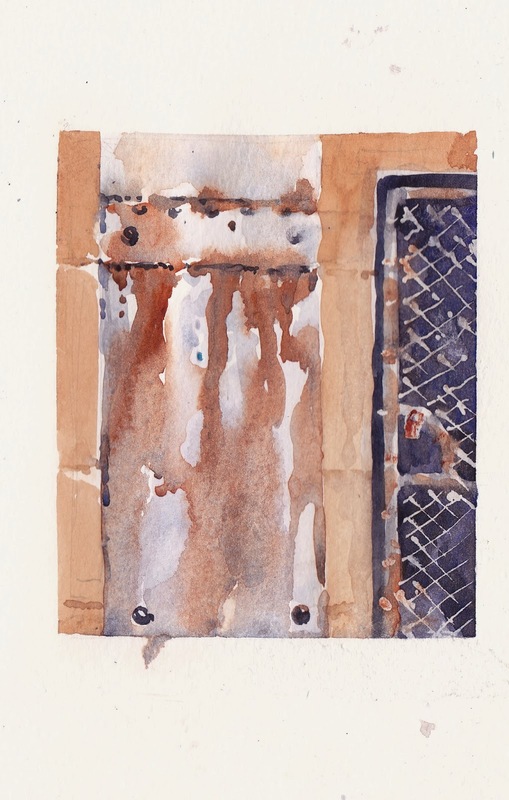 I filled many more pages of my sketchbook in Melbourne, but they are not Urban Sketches. They will all get scanned and put on my flickr page. 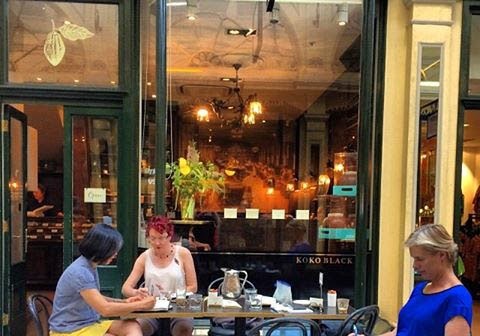 I will also write a separate Melbourne blogpost on my site with those adventures soon. 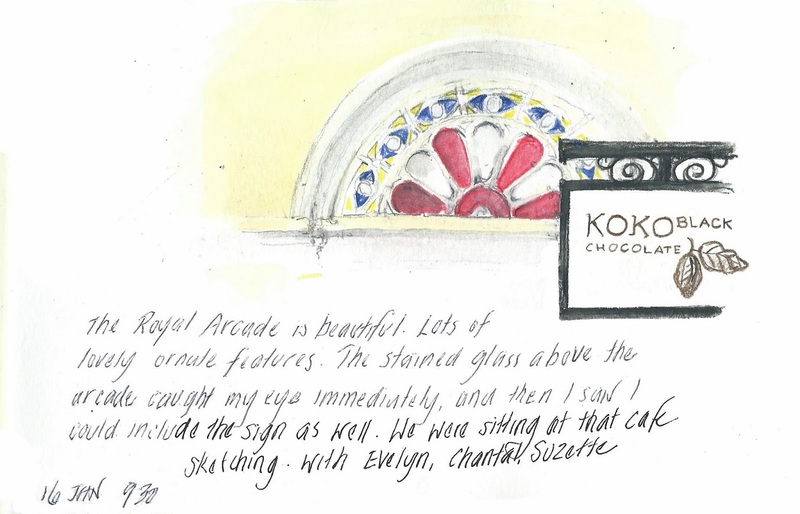 Have watercolour pencils , will travel ! 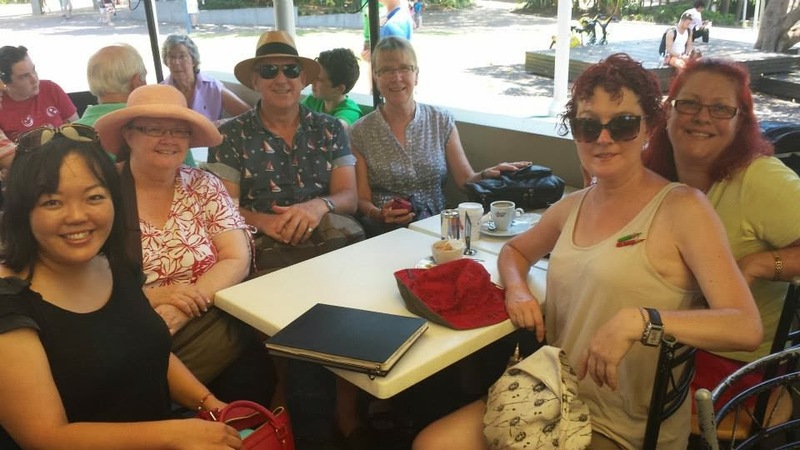 A day in Brisbane in early January included a group of JJ, Asuka, Leeanne, Geoff (who sketched with us in Sydney recently) and Chris (also from Sydney) . 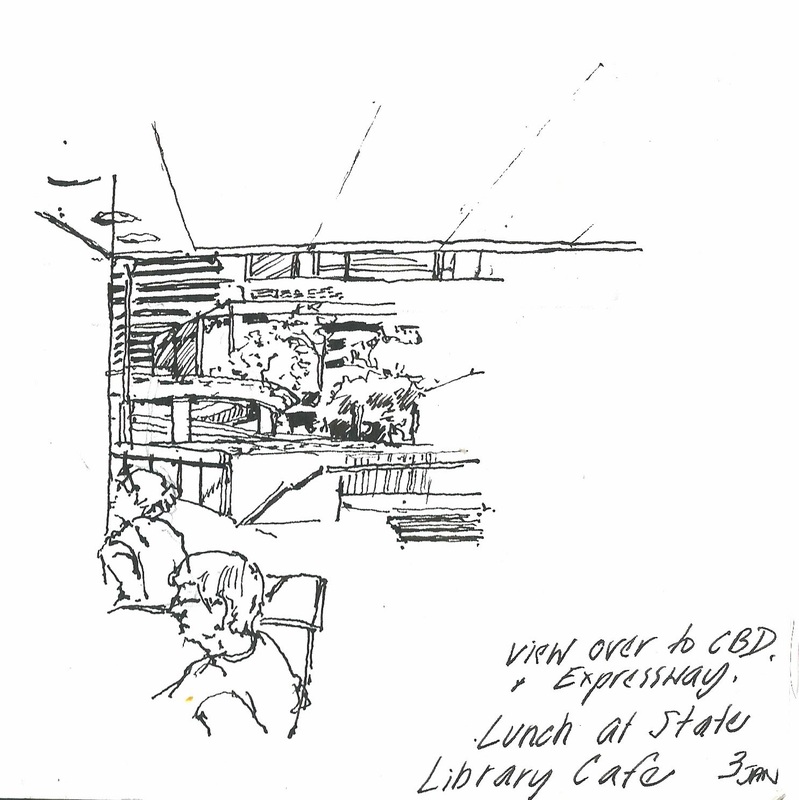 We met for coffee and quickly moved into discussion of art materials and looking through each others sketchbooks. It is so different to see the sketchbooks in reality and turn the pages. JJ and I had a discussion on drawing feathers. 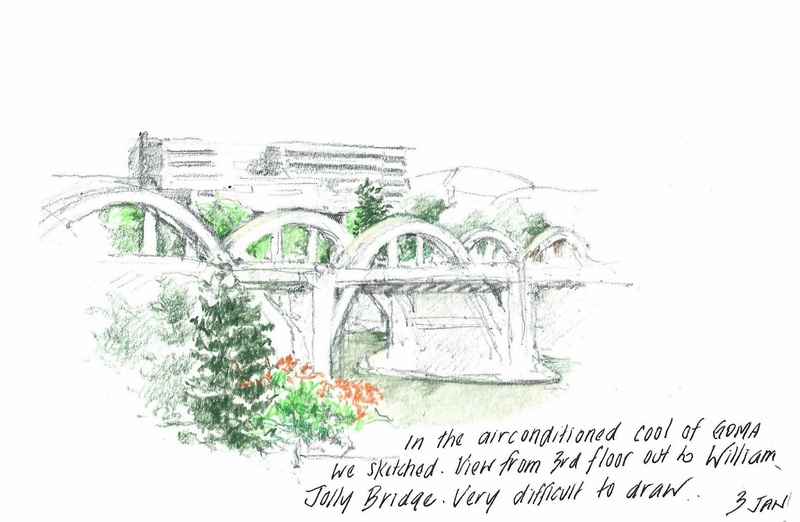 We sketched at Southbank in the shade of the trees looking over the river to the city. It was very hot and we were outside in the morning and headed for airconditioning from lunch onwards. I revisited the same area later in the week to draw some more. 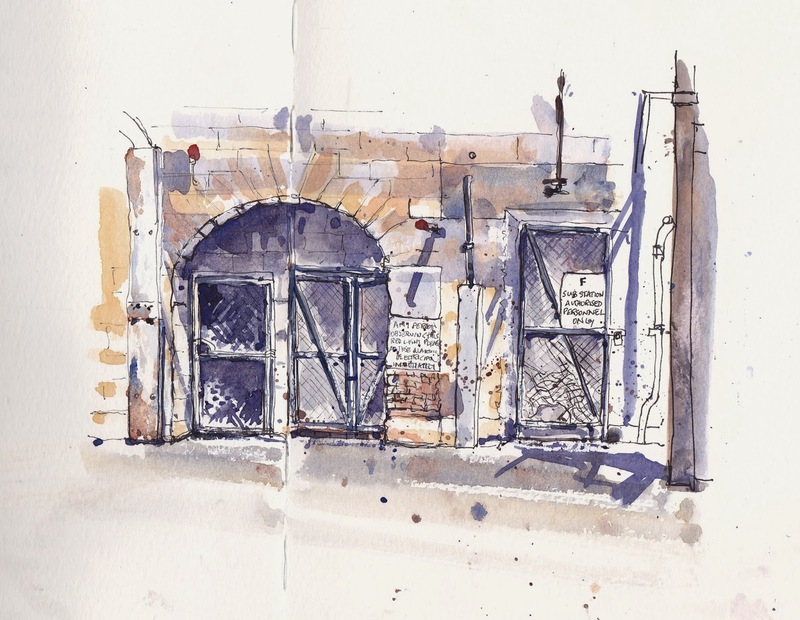 Newcastle was an organised USK event where Sydney Urban Sketchers visited Newcastle. 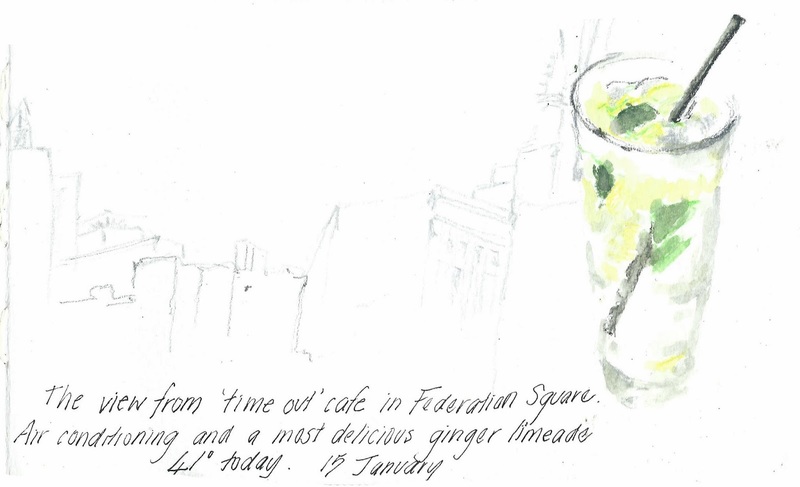 I have written the day up separately http://australia.urbansketchers.org/2014/01/newcastle-alissa-duke.html. 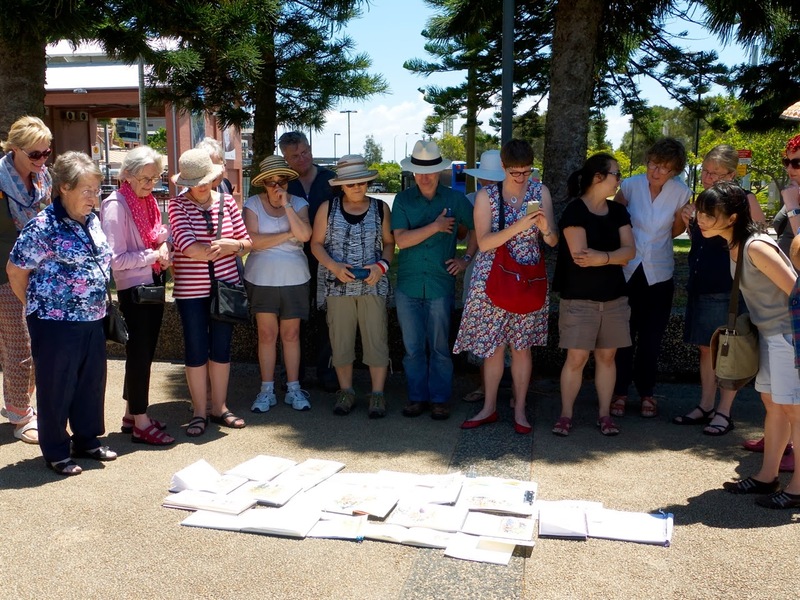 It was a wonderful event and so good for many of us to connect with Urban Sketchers we had met online and for the Newcastle sketchers to meet us (and vice versa) and show us their city . Thanks Phil . Both of my visits interstate coincided with extreme heat. It was 41 degrees in Brisbane and 44 degrees (for 4 days in a row) in Melbourne. 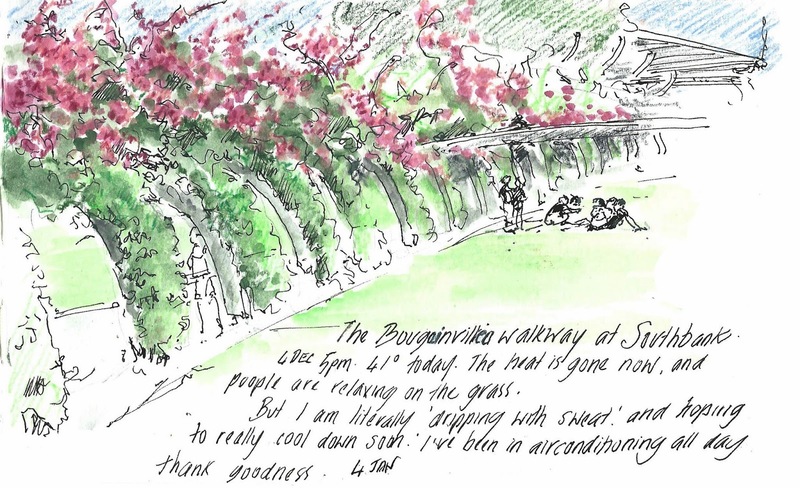 But still we sketched, finding shade in the morning and then air-conditioning. A hardy bunch ! 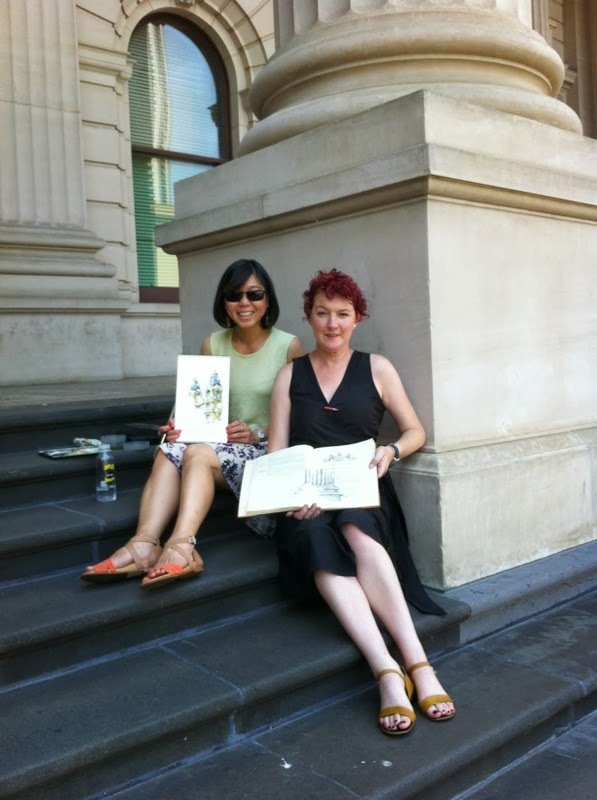 I was in Melbourne for a week and fortunate to have all my days free , so lots of time to line up sketching activities with Urban Sketchers in Melbourne. Kym, Evelyn and Angela - combinations of the three, and others as well. I had met them two or three times before, so it is like meeting up with friends (which is actually what it is). 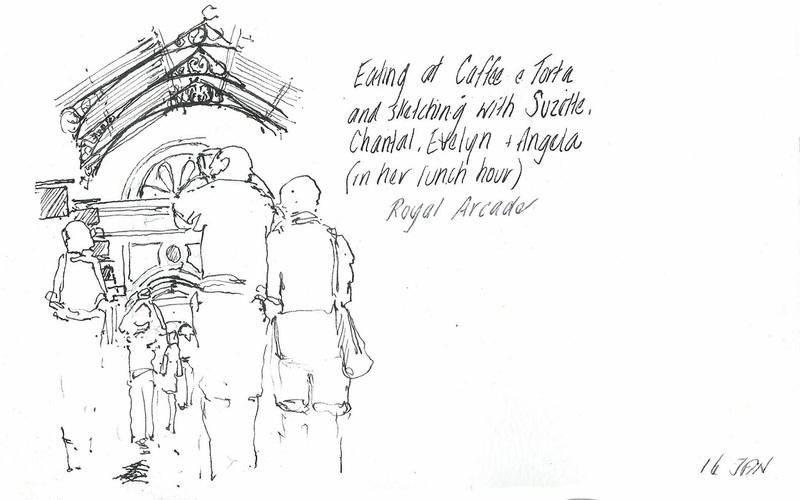 We took every opportunity to meet and sketch: before they started work (a 7am start one morning!) their lunch hours and any other time. 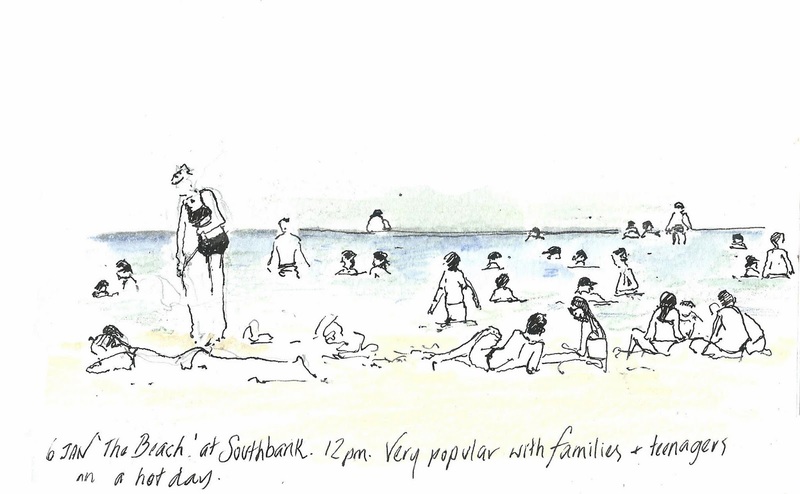 My visit also coincided with another Sydney sketcher travelling. Chantal was in Melbourne and visiting her sister Suzette. We had a morning with them too. Sketching with Kym before she started work. 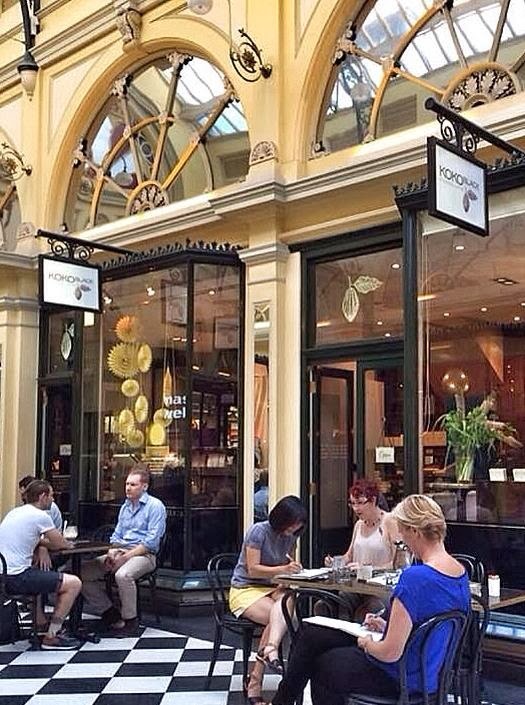 The staff at The Quarter on Degraves Street took our photo and put it on instagram. 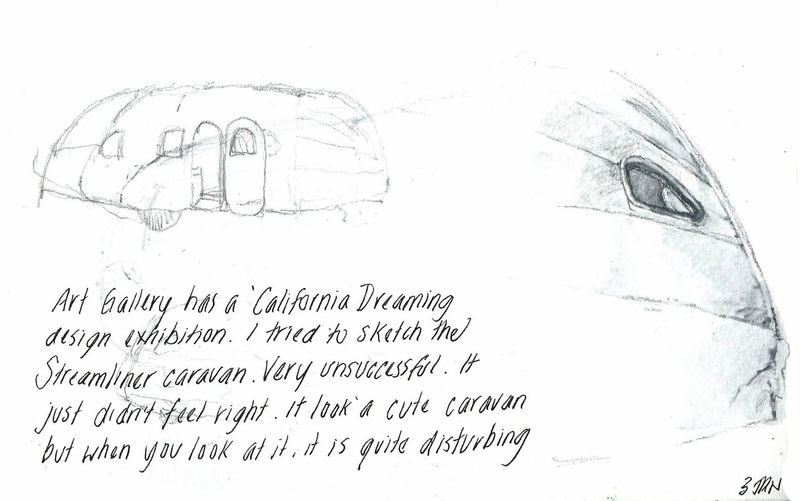 We received lovely reactions and had some great conversations everywhere we sketched. 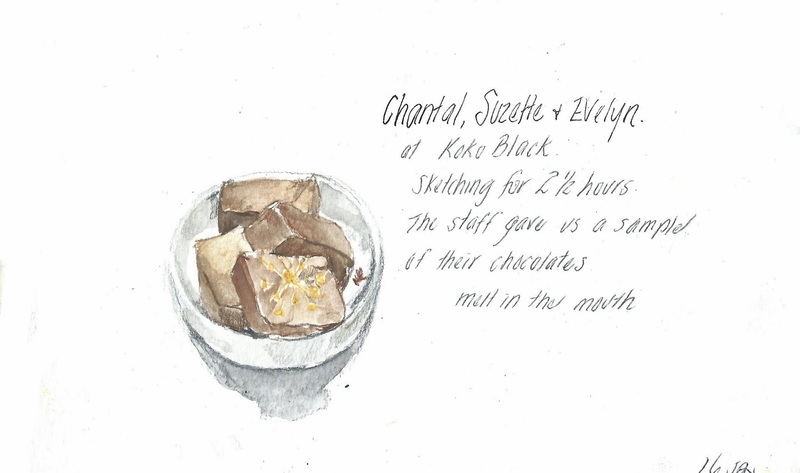 In most cases cafe staff love it when you sketch their food, cafe or coffee. I think that it is because you are taking the time to appreciate on paper the food they have taken time to prepare and look at it in a way that other people do not. After farewelling Suzette and Chantal, Evelyn and Angela and I ventured outside into the heat.The joy of sketching with locals is they can suggest places to sketch and it is often an opportunity for them to sketch something that they have been meaning to do for ages. They took me to Town Hall. 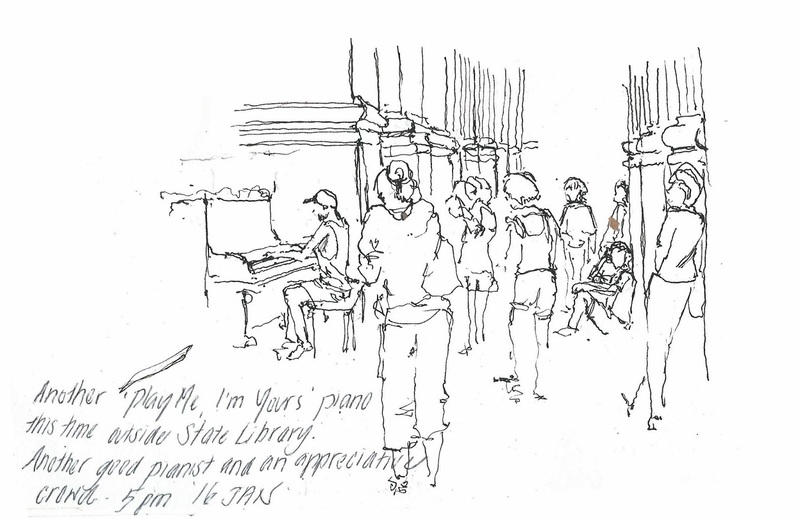 There are a number of pianos in public spaces called "Play Me I'm Yours" - which is what it is. A piano is there (all painted colourfully). You can sit and play them. I do not play, so sketched them ! 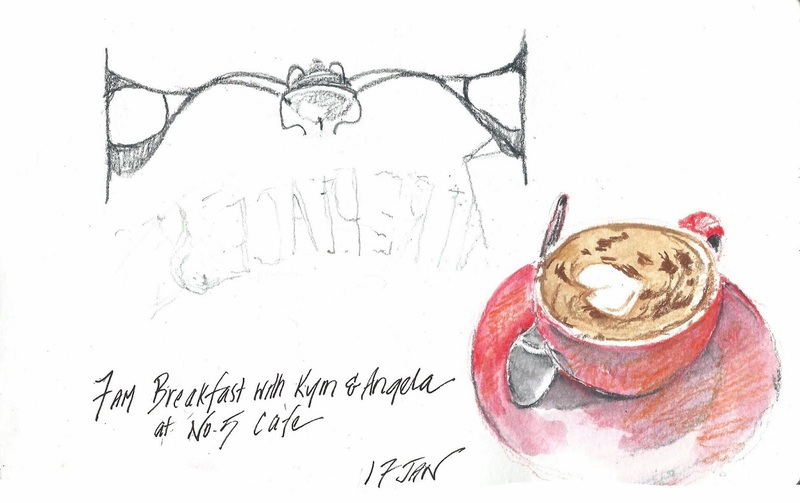 The earliest start 7am, for a prework sketch with Kim & Angela in one of Melbourne's laneway cafes. Plenty of time for continuing conversations that we had started the day before ! Another great day at Cockatoo Island in Sydney Harbour, this time capturing Building 137 in the industrial precinct , which was apparently built by convicts. I found it interesting, once I had done the large building, to then focus on details of it. 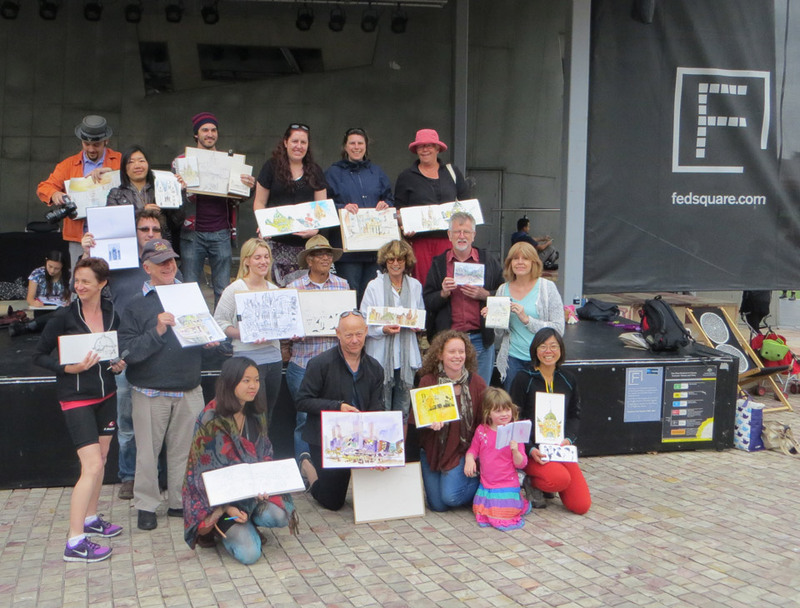 On 4 January, a bunch of sketchers from Melbourne came to participate in the BIG Draw event. 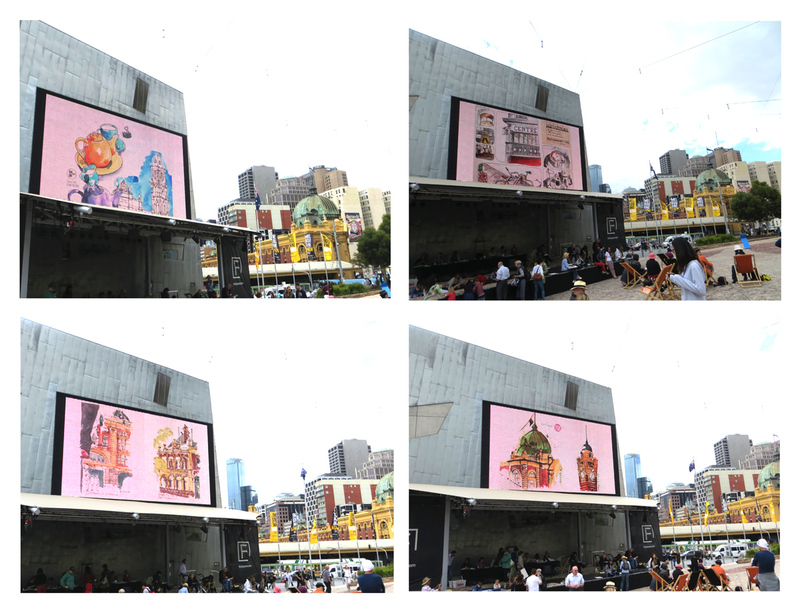 It was an initiative apart of Melbourne Now (watch this video to see what its about) organized by the National Gallery of Victoria (NGV). 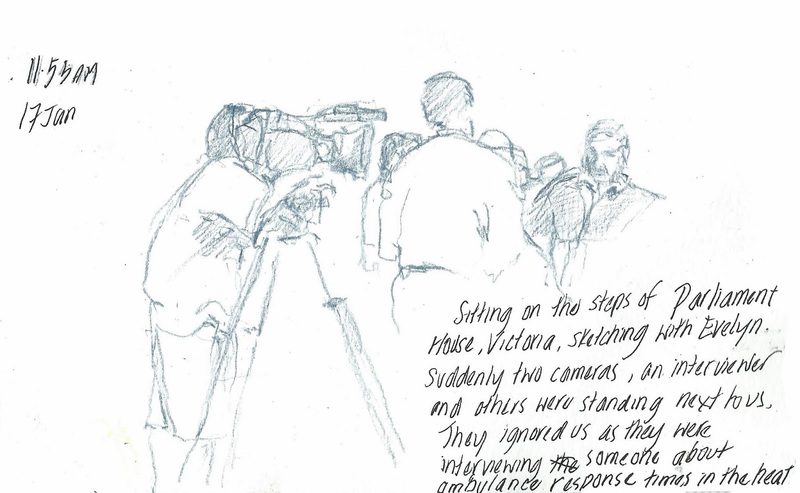 There were around 70-80 sketchers at the event in Fed Square. Lots of the public came to have a sneaky peak over shoulders and see what we were doing and some were even adventurous enough to join in. 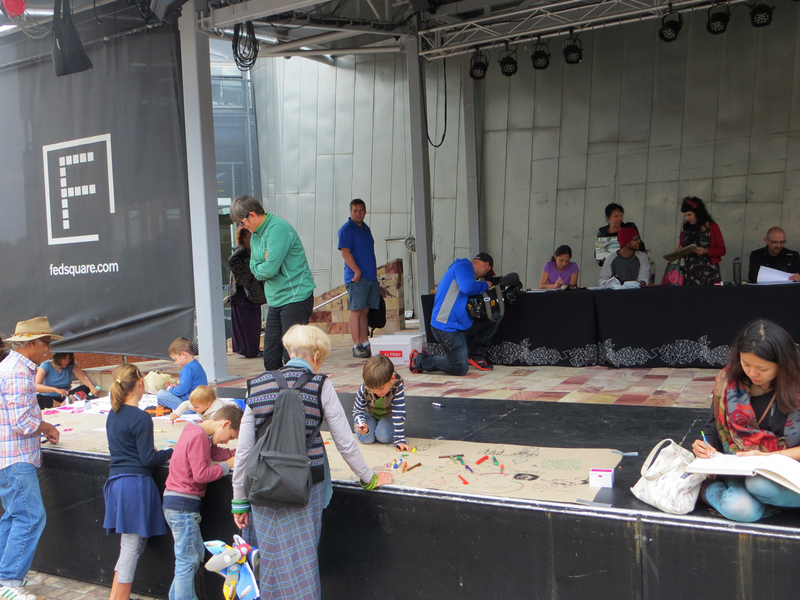 We enjoyed sitting out on deck chairs and sprawled across the stage with sketchbooks and clipboards (for the public) in hand. 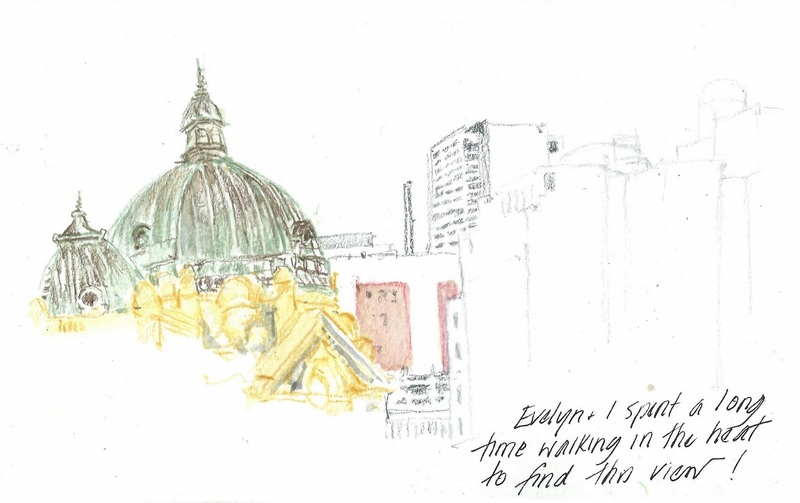 It was a good vantage point with lots to draw (including Flinders St Station, St Paul's, Fed Square and of course other sketchers etc). It was a little overwhelming but exciting seeing some of our previous urban sketches showing on the big screen, and they captured some footage of the event for a TV spot (which I never saw as we were still out sketching that night). 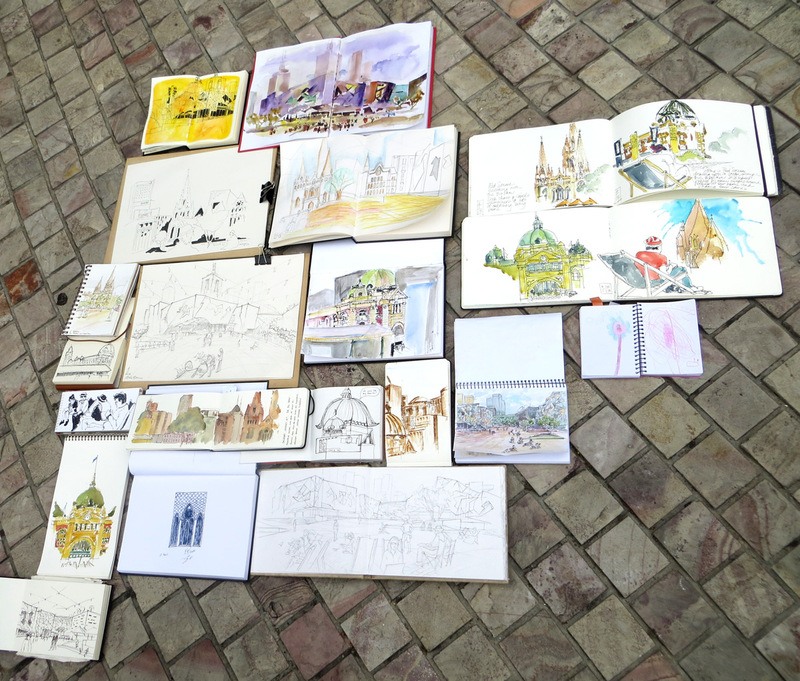 All in all it was a great day to meet fellow sketchers and introduce the public to the wonderful world of urban sketching. So here are my sketches from our great day in Newcastle. It was impossible not to spend the first hour or so talking - with so many new people to meet and good sketching friends to catch up with. And therefore it was a little hard to settle down to sketch - so I did a number of quick loose sketches of the Customs House tower and the old Post office. 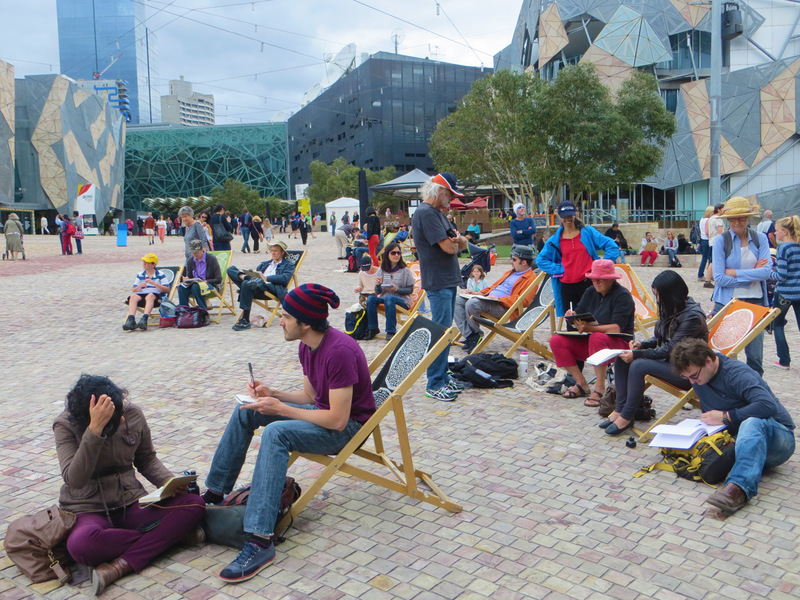 The afternoon was more relaxing as a smaller group headed down to Queens Wharf area -such a beautiful day and a great place to sketch. I hope to be able to come back to Newcastle again soon. Hi, Friends, are you in winter or summer? 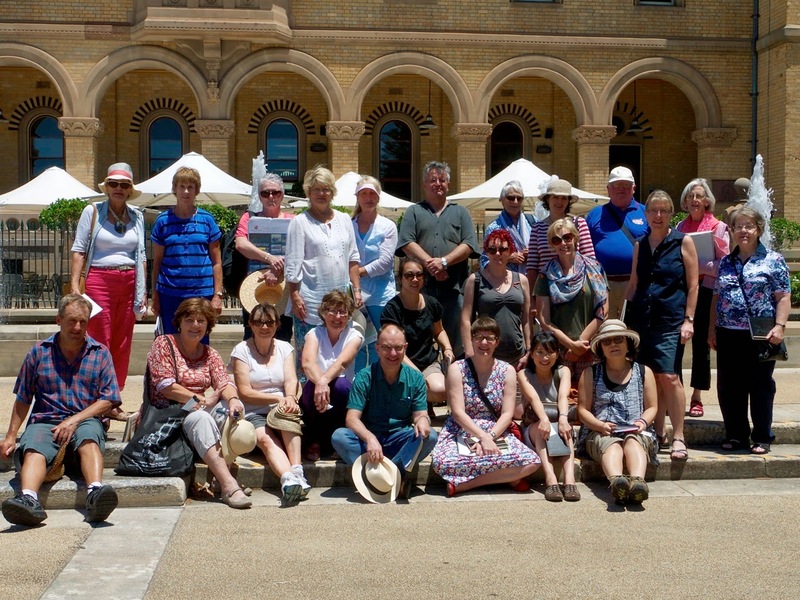 Come join Sydney Festival (9 - 26 Jan) This art festival celebrates visual art, music, dance, performance or whole art areas. Event locations are varied in Sydney. Many programs are in City and Parramatta. 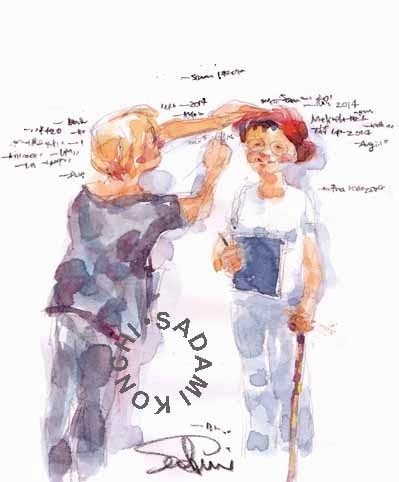 Some events and programs are free and very fascinating : Project 28 : Roman Ondak ( we, laypersons mark our "names" on a wall that makes art and eternity! ), Sacrilege (Interpreted "Stonehenge" in a contemporary way --"JUMPING CASTLE"!! ), Rubber Duck (5 story-high, not Ernie's one!) and Library (secondhand books exchange!). Which event do you like? First, "Project 28, Roman Ondak (artist's name)" that has fascinated me most ʚ(ˆ◡ˆ)ɞ. Friends, don't we wish to mark our existance as eternity in universe? If so, this creative public art is yours. Anyone can leave a name and a date on walls set in Parramatta Town Hall. I wondered how the artist would decide my name's position on a wall? Friends, by an individual "hight," staff puts a name on a wall. According to the project team, hight is "Measuring the Universe." Neither assets, nationality, race, gender, age, religion, social class nor any social filters set in society. I also ponder about Nazi concentration camps that completely denied both individuality and humanity of Jewish people. Individuals were recongnised only by numbers, not names. This beautiful work already has fascinated visitors at some of the world's greatest museums and galleries. Interestingly, our own hight looks individual, in fact, it is quite similar among adults. Consequetnly, the art becomes collective and inclusive. Our names come together at a very similar position. How thoughtful the artist is! All participants look very happy and often take photos of their names. Of course, you can interpretate this art work freely and differently. What do you think or feel, Friends? The art work makes me think of eternity, our existance, similarity/equality and difference/individuality on the earth and in universe. The staff and volunteers invite me to come again to see the finsihed work at the end of the Festival. Sure! I will! Guitar play at a fountain in Hyde Park. We really loved live music. Second, Sacrilege or Stonehenge, but a huge "JUMPING CASTLE" in a festival village in Hyde Park at the heart of Sydney City. This stunningly big jumping castle faces St Mary Cathedral. The artist might think of the same common element, "spirituality" between Stonehenge and a big gothic church. What a unique and great humour!! ~(*o*)~ Who can connect Stonehenge to a jumping castle, so much our everyday stuff? Oh, creativity is amazing. 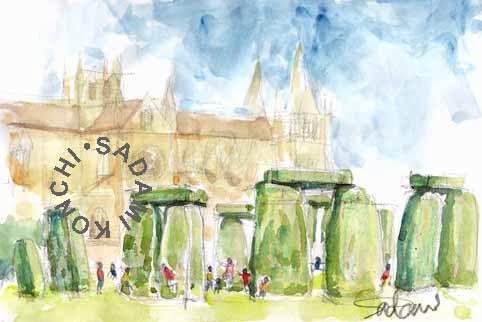 I always wanted to sketch Stonehenge. Now, my dream has come true! Children get excited so much and enjoy bouncing. But after the playing time, all participants get so exhausted. Jumping seems energy consuming work! Friends, you have to come and see and jump! Third, Rubber Duck comes back and up on Parramatta River. 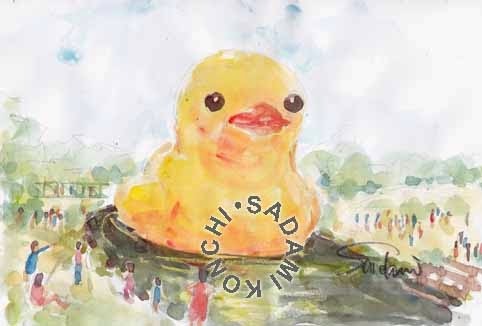 This rediculously enormous Rubber Duck makes us smile by its mismatch between seirousness and humour in art. It always reminds me of Ernie in Sesami street. But who can imagine this size? -- only artists can do ʚ(ˆ◡ˆ)ɞ. Many people come around and look at it, enjoying picnic in Parramatta park. Last, "Library" in a festival village in Hyde Park under beautiful and cool shades. Sydney Council runs this project. They set freebie secondhand books on shelves and visitors can pick up books. One person one book. Children's picture books are very popular and quickly gone! 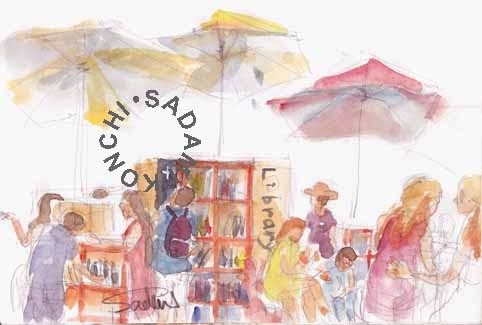 Many people enjoy reading books that makes me very happy. Around a library, people play chess and kids play wooden blocks. Cheerful voices and laugh often come up. Lovely, so lovely. Finally, I'd say special thanks for volunteers and staff and all backstage players who have been carrying out this wonderful festival for us. Friends, if you can, come over Sydney and let's have fun together and join art work!! Or do you have any event like Sydney festival? Let me hear about yours.